From its lush tropical lowlands to its indigenous highlands, Chiapas attracts more travelers and trekkers than typical tourists. Local festivals, exquisite Mayan ruins, diverse nature and a rich blend of colonial and indigenous cultures make trips to the region fascinating travel experiences. The howler monkeys, jaguars, and numerous avian species all occupy your senses when you descend into the lush valleys or climb to the tops of Mayan temples. 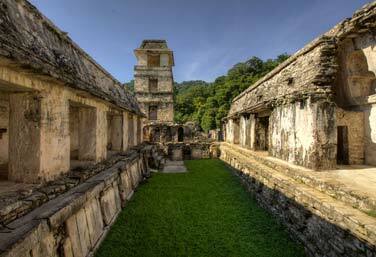 Palenque – Defined as one of the most important cities of the Mayan World, the ancient city of Palenque is surrounded by jungle. Howler monkeys growl overhead as you explore the temples and inscriptions found throughout the site. 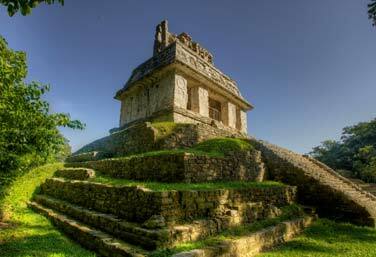 Bonampak and Yaxchilan – The archeological zone at Bonampak boasts some of the best-preserved murals in the Mayan world, while Yaxchilan, an ancient Mayan city accessible only by boat, makes you feel like a real Indiana Jones. Agua Azul – The water of this wide and majestic force of nature powers down in cascades of beautiful, translucent blue. A series of interconnected waterfalls rich with minerals culminate in a large pool, perfect for a refreshing dip. 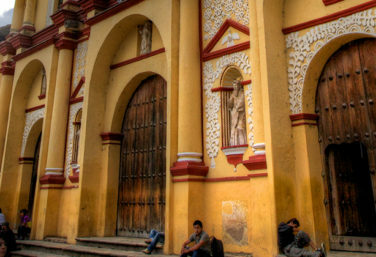 San Cristóbal de Las Casas – Replete with cobblestone streets, quaint cafes and lively markets, San Cristobal is a vibrant, colonial city in the Chiapas highlands. 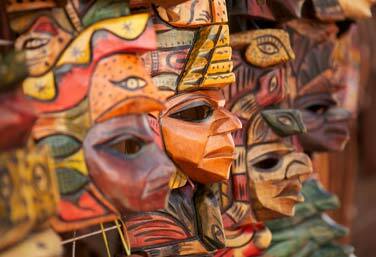 The many museums, workshops, restaurants and bars make this a great base from which to explore Chiapas. 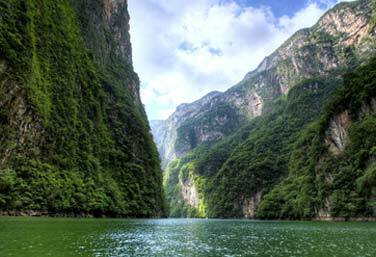 Sumidero Canyon – This 1000-meter high canyon sits just outside the city limits of Chiapas’ capital Tuxtla Gutierrez. 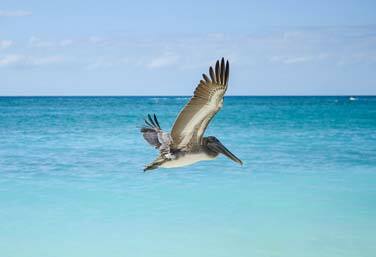 Resplendent with wildlife, including crocodiles, spider monkeys and varied birdlife, a boat trip through its waters makes for a wonderful experience. Tuxtla Gutierrez – The gateway city into Chiapas, Tuxtla provides a convenient location to begin or end an adventure in Mexico. A bustling commercial hub with wonderful restaurants and an exciting nightlife. Montebello Lakes – Stunning lakes with multicolored waters surrounded by pine trees are perfect for a boat ride, a hike or just a tranquil wander. Immerse yourself in Chiapas, a trip that is a perfect mixture of adventure, nature, and cultural history in Mexico as you explore jungles, and mountains, waterfalls and archaeological sites.